Buying and selling estate elephant tusks and most ivory carvings has been made illegal in the US by a regulation that took effect July 6, 2016. Stemming from an Obama executive order, this new revision of regulation 50CFR 17.40e makes the sale of most ivory items illegal in the US. What does one do with estate elephant tusks and ivory carvings? The federal government has been encouraging the donation of estate elephant ivory tusks and ivory carvings to non-profit museums. It is legal to give the items away and a benefit of gifting them to a museum is they qualify as a tax deduction for the donor. 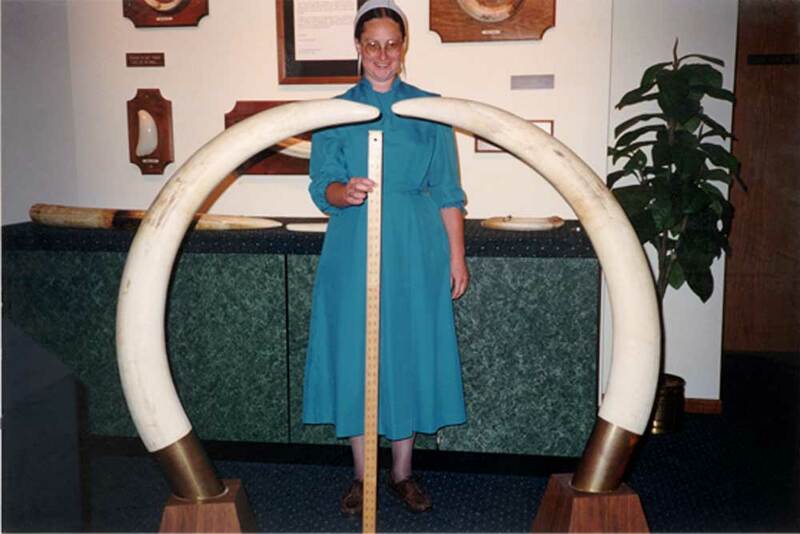 This webpage was developed years ago when it was legal to buy antique tusks and now it is being used to help a non-profit museum that accepts tusks and carvings as tax deductible donations. See our page "Elephant Tusks and Ivory Carving Donations" for more information.